While I was writing the main posts of my Sew Your Kibbe series, Gillian of Crafting a Rainbow did an exploratory post examining how her makes fit into the Kibbe Gamine recommendations. 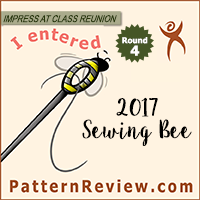 I thought this was a brilliant post, and wanted to do a similar self-analysis before jumping into the main planning and sewing posts for the challenge this year. All of these have elements of Kibbe Soft Natural recommendations; soft texture, waist definition, draping, a loose fit, or an elongated line with a hem below the knee. These fabrics also have a lot of stretch or a soft feel which allows a lot of movement. All of these elements add together to create a Soft Natural look that works well with Kibbe’s recommendations. As a bonus, all of these have been made in my favorite cool, saturated colors, so they all see a lot of wear. These items all have elements that don’t really work for a Soft Natural. The purple dress (upper left) is more of a Romantic style; the extreme ruching overwhelms my torso. The blue top (center top) and teal jacket (bottom left) are both a tad too stiff (more Dramatic Classic or Soft Classic), and I’ve never really found myself reaching for them. The black coat (top right) was made for the Pattern Review Sewing Bee a few years ago, but it clearly overwhelms me (I think it would be Soft Dramatic or Flamboyant Natural), and I’ve never worn it outside of the contest. The striped sweater is almost good, but the tiny ruffles are just too cutesy for me. I’ve given it to a friend (who I believe is a Theatrical Romantic) and she loves it. Clearly I need to be careful of details and silhouettes that are too stiff, too oversized, or too tiny and sweet. All of these garments have elements of Soft Natural, but aren’t exactly perfect options for me. The Blue Jumpsuit works because of the more relaxed fit of the legs, but the high collar isn’t the best for a Soft Natural. With the jacket there is just a bit much going on to the point of feeling a bit restricted; I think the jacket would be more successful with an open neckline on the jumpsuit, and the two can work separately for me, but I never actually wear them together. The red dress is ok but it is perhaps a bit too fitted. I think a more flared/softly draping skirt would be better, and possibly a less covered top. I still really like this dress, because the fabric is really pretty, but I can honestly say it probably isn’t the best silhouette for me. The blue and white top is a style that should work for me, but I think the tiny geometric print isn’t my favorite. I also raised the neckline when I made this top, and in hindsight I should have left it as Burda had originally drafted. I think the fabric is also a bit stiffer than it looks; I don’t have quite the movement in it that I do in many of my other clothes, and I think this makes it one of my borderline successful garments. Finally, I really love the blue gown, but I do think I can handle a bit more draping, detail, and sparkle for an evening look. Clearly, this isn’t everything I’ve ever made, but this is a fair portion of my more recent makes, and I think it is interesting to note how the “Kibbe approved” styles have really ended up being my favorites, and how the garments that would have worked best for a different Kibbe types aren’t my go-to items (or, in many cases, have been donated or decluttered already). 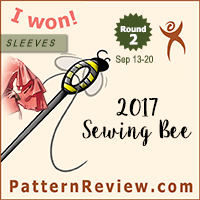 My intent with the Sew Your Kibbe Challenge is to focus on making garments that have a higher probability of working for me, and looking back at my Soft Natural makes, I would say moving forward in that style ID is a step in the right direction. Cool post (and I love Gillian’s too -definitely a Flamboyant Gamine in my humble opinion). You look amazing in your Soft Natural hits. I especially love the middle picture in the first block. Rock star! This makes me see how silly I look in full, flowy pants in comparison to you (as a Dramatic Classic). It’s great when you find a system that works and this one definitely seems to be working for you! Loved seeing all your photos of “hits” and “misses”. I once thought my “misses” were because my garments were home-made, maybe because of wrong fabric choices or poor fitting. My tendency was to lean toward Gamine or Natural lines and fabric choices. I am a Dramatic Classic – I finally figured it out……Am expecting a great turn-around for my wardrobe. “The Perfect Fit” book has made pattern fitting problems a thing of the past. So I am excited to begin this challenge. Thank you for your dedication and encouragement! This is quite an interesting take on it. You can clearly see what works and what doesn’t (although I quite like the dark blue top in Misses on you), and how well it fits with Kibbe’s somewhat confusing system. When it’s all displayed like this, it’s so much easier than when it’s all mashed together. I think the fit on that blue lace top is fantastic, but it also feels a bit stiff and restrictive. It’s more about personal comfort than fit or appearance with that one. Very interesting to see. Especially the coat you said was Soft Dramatic or Flamboyant Natural as I would wear that. I’m a Natural who has some FN elements and some SN elements, though having said that I wouldn’t wear a lot of your favourite picks as I choose a straighter silhouette with less waist emphasis. The rainbow “dress” is actually a skirt I made for the PR Sewing Bee last year (you can read more about it here: https://doctortdesigns.com/2017/09/07/pattern-review-sewing-bee-round-1-musically-inspired-pencil-skirt/). The bomber jacket was also part of my Sewing Bee projects (https://doctortdesigns.com/2017/10/02/pattern-review-sewing-bee-round-3-reversible-garment-aka-pattern-review-simplicity-8418/), it is Simplicity 8418. The red dress I made to wear to a fancy holiday party and the blue gown to a wedding. I really like both of them, but I think I could make something even more fabulous if I focused on utilizing the Soft Natural Kibbe recommendations. I saw this post a couple of days ago but I was so speechless with admiration I couldn’t comment! If this is what happens when you really know your style and your colors and put them together, it’s very inspiring. I feel really encouraged about this process now. Thank you! I was really inspired by the Gamine exploration post on Crafting a Rainbow, and wanted to do something similar for myself. It was really enlightening to put together what I consider to be my recent “hits” and “misses” in this way. It is definitely encouraging me to continue down the path of Soft Natural sewing plans, but also helping me to see where I can push the boundaries of the Kibbe recommendations a bit, and where I really shouldn’t stray too far from Kibbe’s original recommendations.